HOW MUCH FUN CAN WE HAVE BEING DIFFERENT? 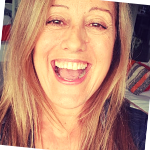 Hi I'm Jayne CFMW, Access Consciousness Bars, Facelift & Body Process Facilitator I offer Access classes and private sessions in East Croydon, London Waterloo & at the Light Centre Belgravia. Before I found Access Consciousness I’d never acknowledged that I was different. I never fitted in and had always made that a wrongness rather than my strongness. I struggled with the point of view that you were supposed to work hard for your money and that you had to fit in. Well, that really didn't work for me and deep down I always knew that there was more to life and that I could choose something completely different. I had played with lots of modalities that made things easier but beneath it all things were the same. So eventually I found Access Consciousness and dived into 5 days with bars and foundation and my life changed and expanded way beyond what I thought was possible. Well, after the first day in the bars class actually! And after that there was just no turning back for me. I started making a lot of new choices and I started creating the life and business I always knew was possible and yet never knew I could actually choose. Today I live a life that for some would seem unbelievable with 3 thriving businesses, fun inspiring people to choose WAY GREATER!! And lots of weird and wonderful people to play with pretty much every day! How does it get any better than that? Check out my Access website, or Facebook events page. Or just send me an email. Let's play!